The global demand for natural resources is skyrocketing. A growing population that adopts production and consumption patterns popularised in industrialised countries needs more and more resources to satisfy needs and wants. 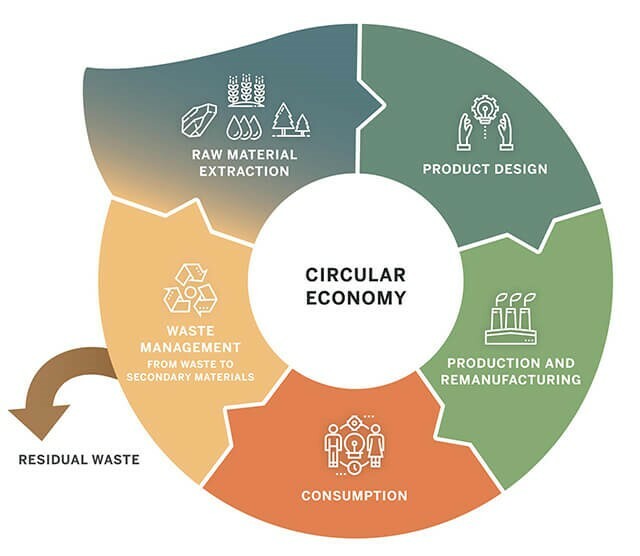 Along the value chain from extraction to production, use and management of the after-use phase, humankind consumes large amounts of materials and energy and produces both emissions and waste. Not only does this exert a strain on available resources and stocks, but also on the environment and human well-being alike – be it through Greenhouse gas (GHG) emissions, hazardous wastes or health-impairing working conditions in extractive activities. In order to work towards an ecologically safe and socially fair mode of resource use, we need to learn from nature and design out waste generation both from our activities and mindsets.